Automate and standardize processes and manage daily workflow, all though a connected mobile device. PDI AvPac manages your refuellers’ daily workflow – from vehicle inspections and equipment checks to delivery tickets and invoicing – through a mobile device that communicates information directly to your backoffice system, eliminating the need for paper-based processes. 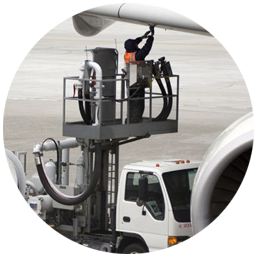 BAFS experienced clear improvements to the visibility and efficiency of their 24-hour fueling fleet.